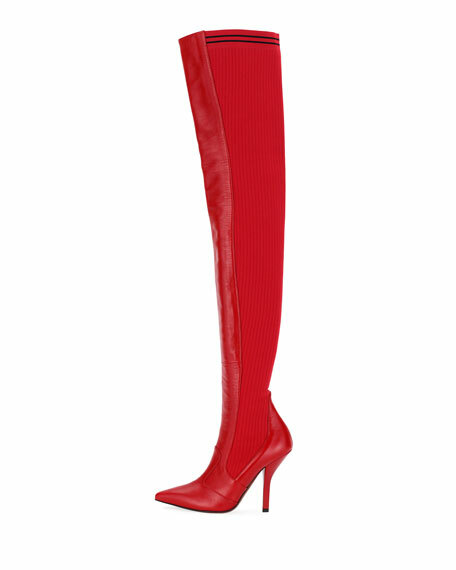 Fendi leather and stretch-knit sock boot, designed to conform to line of leg. For in-store inquiries, use sku #2286667. 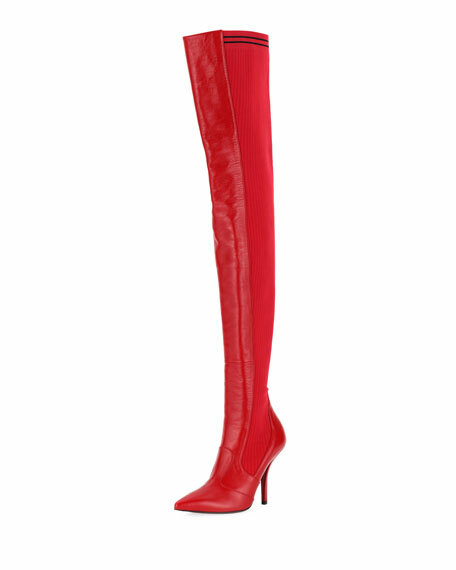 Jimmy Choo liquid mirror metallic leather boots with removable shaft for a knee-high effect. Jimmy Choo engraved clip on shaft stretch strap. 4" covered stiletto heel. Pointed toe. Inside side zip. "Hurley" is made in Italy. 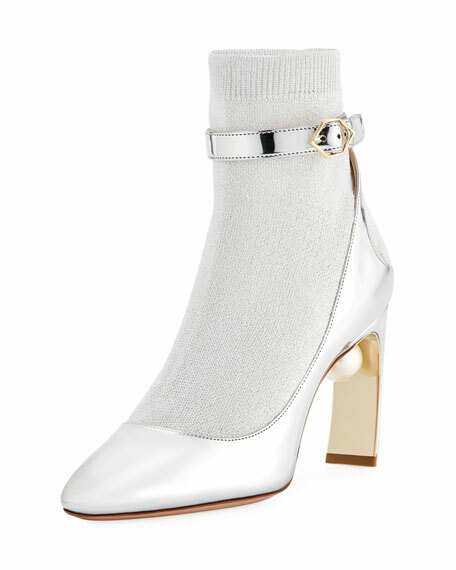 Nicholas Kirkwood ankle boot combines metallic leather "pump" with fabric sock. 3.5" covered heel with simulated pearl inset under arch. Round toe. Adjustable ankle strap with hexagon buckle. Smooth outsole. "Lola" is made in Italy. Stuart Weitzman suede over-the-knee boot. 24"H stretch shaft with leather tie; 15" circ. 1.3" flat stacked heel. Round toe. Paneled stitching at vamp. Pull-on style. Leather lining and insole. Tread rubber sole. "Lowland" is made in Spain. 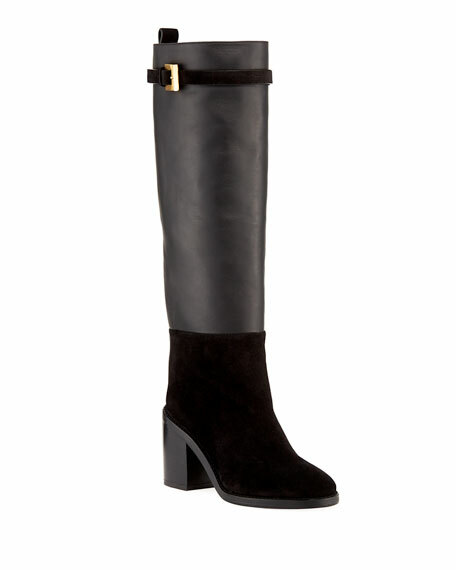 Stuart Weitzman knee-high boot in suede and smooth leather. 2.5" stacked block heel. Round toe. Buckle strap at top. Pull-tab at back collar. Leather lining. Rubber outsole. "Morrison" is made in Spain.